The house nurtures our sense of self, embodies our notions of intimate family life, and serves as our haven in a heartless world. But it’s also the site of Sisyphean labor, mostly female—cooking, minding, cleaning, imposing order on the fruits and detritus of bourgeois life, including but not limited to vast holdings of cotton-ball-festooned pre-K art projects. All of which means, of course, that it’s contested terrain—between the individual and the family, children and parents, wives and husbands. Alice Friedman’s Women and the Making of the Modern House and Colin Davies’s Key Houses of the Twentieth Century probe aspects of the complex relationship between modernism— the dominant architectural style of the 20th century—and domesticity. Together and sometimes in spite of themselves, they illuminate the central role middle- class women played in the development of a peculiarly American strain of modernist architecture. They also help explain why a nostalgia for what the marketers have dubbed “mid-century modern” has for several years now gripped the sort of Atlantic-reading 30- and 40-something married couples who eagerly thumb the Design Within Reach catalog and exclaim over those fab prefab houses in Dwell magazine while on line at Whole Foods. Friedman’s book, just published in paperback, is, alas, quirkier than its title implies. It analyzes six houses designed by notable architects for women who were unattached to men. Although the idiosyncratic cases Friedman has chosen may obscure more issues than they clarify, her inventive approach—she uses letters, diaries, and interviews to reveal how the houses were actually lived in—is so smart that it should long have been an obvious way to write about buildings, an endeavor that tends toward the abstract and the speculative. And the author breaks new ground with her intricate assessment of the collaboratively designed Rietveld Schröder House (1924), perhaps the first great modernist house. With its exuberant primary colors and its intimate scale, this small, inexpensively built, light-filled, semi-detached De Stijl dwelling is the antithesis of the severe work of Le Corbusier and the Bauhaus that came to define European modernism. 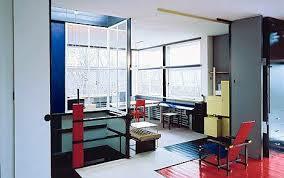 To be sure, it’s defined by floating lines and planes, but Gerrit Rietveld, the architect, and Truus Schröder, a widow with three young children, herself an amateur architect, designed it for a most old-fashioned, bourgeois purpose: to interweave the lives of mother and children. Its open plan engendered a communal family life (a life that even then, it seems, homework threatened to fracture; they designed built-in desks so that schoolwork would be done in family surroundings), and an elaborate system of sliding, folding, and pivoting wooden partitions divided the open space into bedrooms. Rietveld, who became Schröder’s lover and eventually moved into the house after her children were grown, never got used to the discipline the partitions demanded (Schröder, in contrast, was—as Rietveld Schröder House, Ida van Zijl’s perceptive 1999 monograph, dryly notes—“extremely driven about operating the sliding walls”). 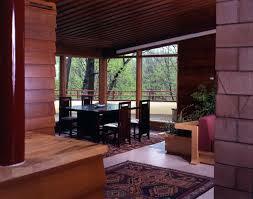 But that discipline helped make the house a feminine dwelling. The Dutch idea of domesticity arose from the dogged efforts of bourgeois women, who historically lacked servants, to impose a nurturing order on home life. The Rietveld Schröder House—in its child-centeredness and playfulness, combined with its womanly control (twice-daily sliding and pivoting!) 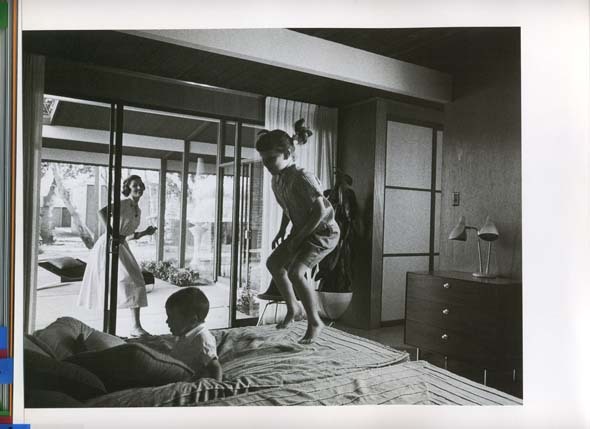 and orderliness (for bedrooms to emerge as part of the family area, beds had to be made and clothes put in drawers)—was a thoroughly modernist but profoundly domestic female-run environment. Schröder’s inspiration for the open-plan living space, for those somewhat wacky partitions, and for the arrangements of her house was in part a book that the domestic reformers Catharine Beecher and her sister Harriet Beecher Stowe had written some 50 years before, The American Woman’s Home(recently reprinted by Rutgers University Press, it incorporates many of Beecher Stowe’s writings on the home first published in this magazine). In their efforts to give women greater control over their homes, the sisters devised an innovative house plan, famously prefiguring modernist principles, in which function determined form. Small and hence easy to maintain, the sisters’ notional middle-class house was anchored by a core of mechanical services that drew the kitchen—with a streamlined, single- surface workspace—from the back of the house to its heart. The kitchen opened onto two large, open living spaces that residents could configure in various ways with movable screens. The house was truly revolutionary, because it was designed for and centered on the person who worked there: the housewife and mother. Friedman says that even today, professional-class mothers who work with architects to design their own houses (and what other class of woman can afford to do so?) want to place their primary work area, be it kitchen or home office, at the center, so that they can always monitor, if not necessarily engage with, their children. She calls this “the maternal eye,” and it’s a concern that, though she fails to note it, brought about probably the most significant design change in the last hundred years of American domestic architecture. Frank Lloyd Wright, at least since designing his Prairie houses, in the early part of the 20th century, had been exquisitely sensitive to the ways parents and children interact in a house and to the ways design could alter those interactions. Those houses broke down the complex network of Victorian rooms, substituting long, flowing spaces that both reflected and encouraged parents’ newly informal and more intimate relationship with their children. By the late 1930s, with his single-story “Usonian” houses, Wright established fundamental patterns of domestic behavior for women and children in the middle-class suburban house that remain largely unaltered today. He designed these popular, moderately priced houses, which Davies rightly calls “uncompromisingly modern,” for discerning, servantless middle-class families whose style of entertainment tended toward the cocktail party and the buffet supper rather than the formal dinner. 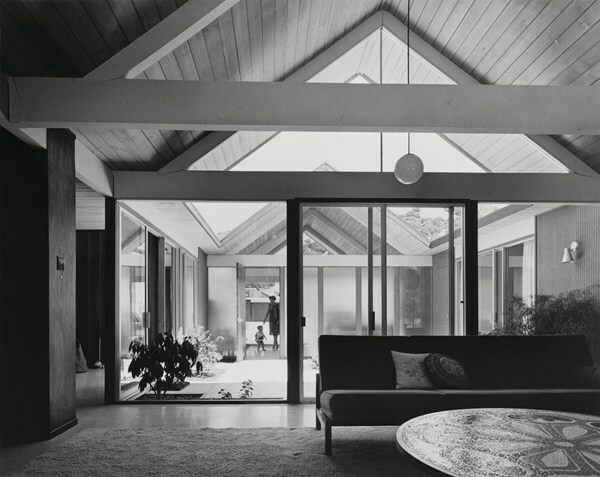 These sumptuously airy open-plan houses, with their brick and warm wood interiors (in contrast to the sleek, stark white surfaces of the International Style), clerestory windows, and ingenious storage closets, were placed close to the street with their backs to it, so as to leave the garden unbroken. Walls of full-height glass doors, usually south- and west-facing, led to semi-enclosed patios, marrying indoors and out. Wright divided his usual L shape into sleeping and living wings; crucially, rather than tuck the kitchen away, he opened its walls and put it and the hearth in the pivotal position. By merging the kitchen with the dining area and living room, Wright ensured an informal mingling of leisure and labor and of family members. Most important, he put the woman in the commanding position in the house’s geography—at the heart of social activity—where the maternal eye could oversee children anywhere outside their bedrooms. (Almost certainly borrowing from Beecher and Beecher Stowe, Wright called the kitchen the “work-space.”) As he later explained, “The housewife herself became the central figure,” not “a kitchen-mechanic behind closed doors.” By 1940 suburban ranch houses were becoming the norm, and Wright’s kitchen-centered design was their prototype. The central, open kitchen helped allow Baby Boomers to be mothered in that attentive but unobtrusive Dr. Spock–recommended manner that would shape their generation. Southern California boasted a similarly inviting, domestically oriented modernist architecture that sought to minimize the distinction between building and site (in contrast to the International Style architects, already establishing their hegemony on the East Coast, who wanted to draw the sharpest line possible between nature and their dwellings). Indeed, that region nurtured a distinctly American but consciously modernist architecture, with Wright’s former student Richard Neutra its most prominent exponent. And later, Los Angeles’s postwar kicky, family-friendly Case Study houses emerged as the best examples of homegrown American modernism. Why was it such fertile ground? I think because Los Angeles—then the most bourgeois large American city—already had the country’s most architecturally impressive middle-class housing stock, a domestic architecture that flowered from the 1880s through the 1920s, shaped by women’s concerns that could be described as proto-modernist. Los Angeles’s ubiquitous California bungalows— stylish, airy, inexpensive, praised for their indoor-outdoor arrangements, many built from precut, mail-order lumber—housed servantless families (also the most Anglo-Saxon major city, Los Angeles had an unusually small population of immigrants to draw on for domestic work) and not a few invalids (Southern California was famously a tubercular’s paradise). The dictates of the popular domestic-reform and public-health movements were unusually convincing there, especially because they comported with the aesthetic tenets of the bungalows’ creators. But Gatsby’s protestations notwithstanding, you can’t repeat the past, however sweet. Those spiffy Eames chairs, those all-but-replicas of the Case Study houses, those renovated Eichlers—now fetishized by some professional-class families, despite their choice to live in houses with separate children’s and adults’ “suites”—are but relics of an age when the maternal eye presided over the home and over California’s ebullient era, which promised and delivered a better life for ordinary people than they could have enjoyed anywhere else. You can replicate the house, but—without the economic conditions and social and gender relations that nurtured it—not the home life.